After signing his first professional contract with Cerezo Osaka in 2010 at the age of 17, brawny striker Kenyu Sugimoto became the youngest member of Japan’s London Olympics squad just two years later. There were high expectations when he inherited the No 20 shirt from club legend Akinori Nishizawa, who had stints at Bolton Wanderers and Espanyol. With Cerezo lagging in the table, Sugimoto’s ability to prosper in the second half of the season will be the key to the club rebounding. But things have not been easy for the 21­-year-­old so far in 2014. With just two goals to his name so far this season, the forward is undergoing rehabilitation after dislocating his right shoulder against Guangzhou Evergrande in early May. Following the World Cup, Sugimoto’s Cerezo will restart their campaign with several changes, not least of which is the appointment of new manager Marco Pezzaiuoli. 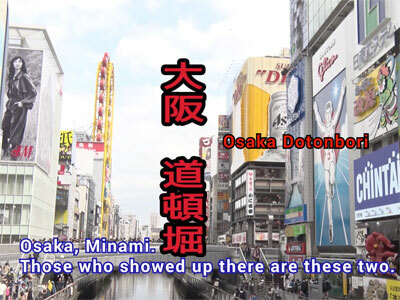 “It’s the first time I’ve had a manager change in the first half of the year,” Sugimoto said. “I have to see how [Pezzaiuoli] thinks and how he runs the team in order to respond. It’s important that we adapt to his playing style as much as possible during the break. Like team­mates Yoichiro Kakitani and Hotaru Yamaguchi, Sugimoto is a graduate of Cerezo’s academy system: “The youth system is well thought out, and with donations from the Hanasaka Club we were able to take part in overseas trips. The youngster has also been influenced by the likes of former club­mates Shinji Kagawa, Takashi Inui and Hiroshi Kiyotake, whose careers have taken off in Europe. In addition to his experience in London, Sugimoto can already claim to have scored against one of the best clubs in the world in last year’s friendly against Manchester United. “That goal gave me a lot of confidence,” he remembers fondly. In the AFC Champions League, Sugimoto has played not just in China and South Korea, but also in Thailand where the club is rising in popularity thanks to the presence of Diego Forlan. “Thailand’s stadiums are much better than I expected,” said Sugimoto of Cerezo’s voyage to face Buriram United. Through Cerezo’s partnership with Bangkok Glass, where former defender Teruyuki Moniwa currently plays, Sugimoto believes that the path blazed by the likes of Kagawa and Kiyotake will continue to widen. 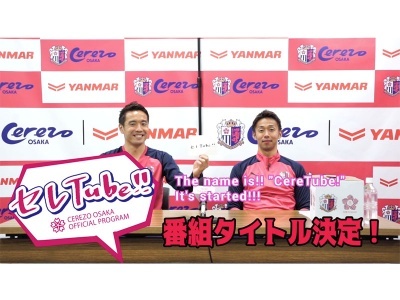 “I think a lot of Cerezo players are going to go overseas,and some of them might go to Southeast Asian clubs,” he said. Source: "Kenyu Sugimoto, Cerezo’s comeback kid"